Yesterday I wrote about the warped perceptions that come from TV medical shows dramatically (as in, for dramatic effect) collapsing the time course of disease, diagnosis and treatment. Obsession with the bizarre has a similar effect. 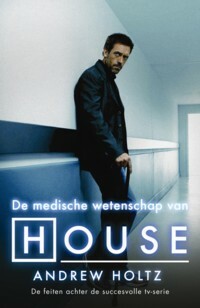 Certainly, people would not watch House and other medical shows in such numbers if all the cases were boringly routine. The point of entertainment shows is to be more colorful and exciting than real life, but some health experts worry about viewers being distracted from the real issues society faces as we try to improve health care. They say people should understand that the greatest improvements in health come from small changes in dealing with common things that affect a lot of people, not the bizarre, though exciting, cases that House takes week after week; cases that are far more rare than lightning striking a person. “The TV shows are about the lightning strikes. They are interesting. And they are fun. And they are engaging. And they are exciting. And they make us all feel better.” - Dr. Howard Trachtman. But the steady diet of “lightning strike” cases, may lead viewers to overestimate just how much they need to worry about being struck by lightning, in the medical sense. And so the desire to have a health care system of heroic doctors available to rescue them from freak occurrences may trump their interest in supporting basic, routine care.